E-File your Pro-rated HVUT Form 2290 before Feb 28, 2019. 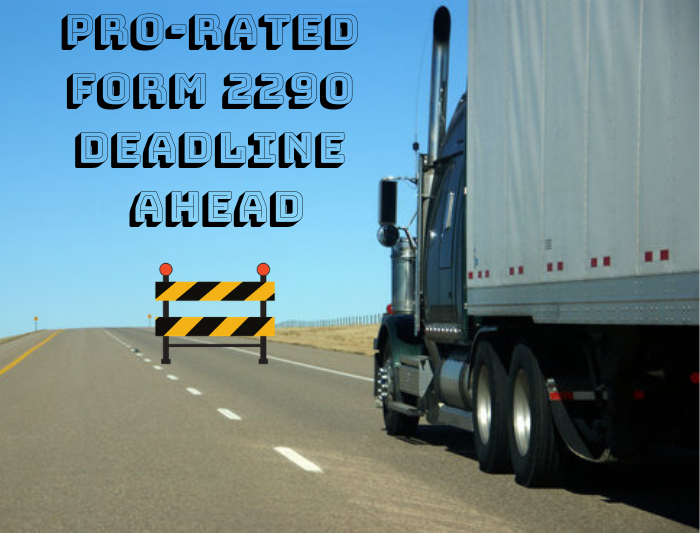 Hello there truckers, the Pro-rated HVUT Form 2290 is due by Feb 28, 2019 for vehicles first used since January 2019. This Pro-rated deadline is drafted based on the Federal law that indicates Form 2290 must be filed by the last day of the month following the month of its first use. Now if you had purchased/re-purchased any new truck during January 2019, you got 60 days before you could file this Form 2290, you generally file this tax Form to get your vehicle plates, tags, licenses renewed. Now for many who just turned out to be truckers, this form may not sound familiar or perhaps we must say that they do not even an idea about this Tax Form until they wanted their vehicle registrations to be done. They also do not know what the importance of this tax Form is. The HVUT Form 2290 is basically an annual tax paid to the Internal Revenue Service which is paid on Heavy trucks which comprises a taxable gross weight of 55000 lbs to the minimum until 80000 lbs & above and if the said truck is used on the public highways for commercial, agricultural & logging purposes. However, the vehicle is determined to be a Taxable vehicle (Where the tax payment needs to be made full in advance to the IRS) or Suspended/Exempt vehicle (Where no tax payment needs to be made to the IRS) based on the desired mileage limit for exemption drafted by the Internal Revenue Service by virtue of the nature of job the utility vehicle performs. Hence, if the subjected vehicle is expected not to go over the desired mileage use of exemption, it remains to be exempt from Form 2290 tax payment, however a tax return needs to be filed for this vehicle to legally claim and exemption. Truckdues.com has been serving the ver hard working trucking community over the past 5 years with their HVUT Form 2290 filings at a very honest pricing, $7.99 we ensure that you receive the IRS digital watermarked copy of schedule 1 in your registered e-mail address within minutes after you e-file. This entry was posted in 2290 e-file, Form 2290, IRS updates, Truck Tax Online and tagged 2290 government form, federal heavy highway form 2290 irs, file form 2290, Form 2290, form 2290 due, form 2290 electronic filing, form 2290 heavy highway vehicle tax, form 2290 heavy truck tax, form 2290 heavy use tax, form 2290 instructions, form 2290 online, fuel excise tax, hvut 2290 form, internal revenue form 2290, IRS form 2290, printable irs form 2290, schedule 1 form 2290 on February 12, 2019 by Truck Dues.